Richard Rodgers will slide in as the Eagles' No. 2 tight end, for now. 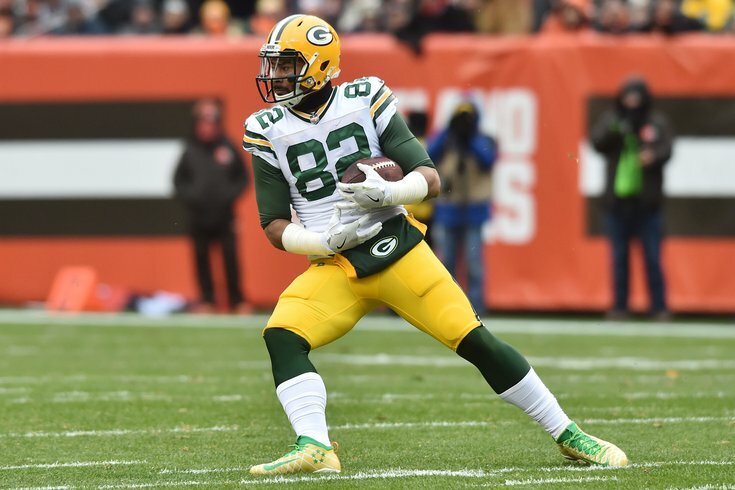 The Philadelphia Eagles announced that they have agreed to a one-year contract with former Green Bay Packers tight end Richard Rodgers, a third-round pick in 2014. With Trey Burton leaving in free agency and the team parting with Brent Celek to save $4 million in salary cap space, the Eagles' need for help at tight end was obvious. According to a source, Rodgers won't count toward the compensatory pick formula, which means that his deal is going to be a cheap one. The Eagles will still very likely select a tight end in the 2018 NFL Draft, and I would imagine that Rodgers will have to earn a spot on the roster. For now, however, Rodgers slots in as the Eagles' No. 2 tight end.